Packaged for quick refill of dispenser LIL-23152 (sold separately) or for other use. Single-dose packets of the most needed medicines will provide everyone with much-needed relief. The medicine is sealed in single-dose packets, which in turn are packaged in a stand-alone sleeve that also efficiently refills a wall dispenser. Don't make yourself or your employees struggle through the day feeling ill. Single-dose packets of the most needed medicines will provide everyone with much-needed relief. 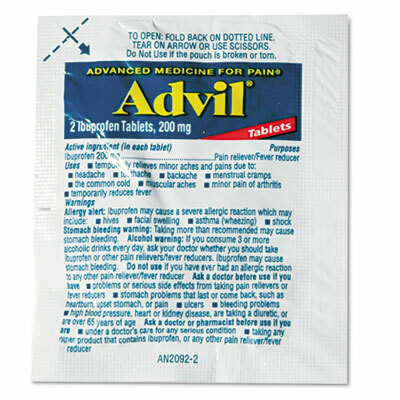 The medicine is sealed in single-dose packets, which in turn are packaged in a stand-alone sleeve that also efficiently refills a wall dispenser (sold separately).